Ecology, as a branch of biology, can be defined as the study of relationships between living organisms and their interactions with their natural or developed environment. This webpage is intended to be only a general introduction to the ecology of coral reefs. Links after each topic lead to other websites for more information. ReefBase is the official database of the Global Coral Reef Monitoring Network (GCRMN. It gathers available knowledge about coral reefs into one information repository. It is intended to facilitate analyses and monitoring of coral reef health and the quality of life of reef-dependent people, and to support informed decisions about coral reef use and management. Coral Reefs are among the most unique biological communities on Earth. 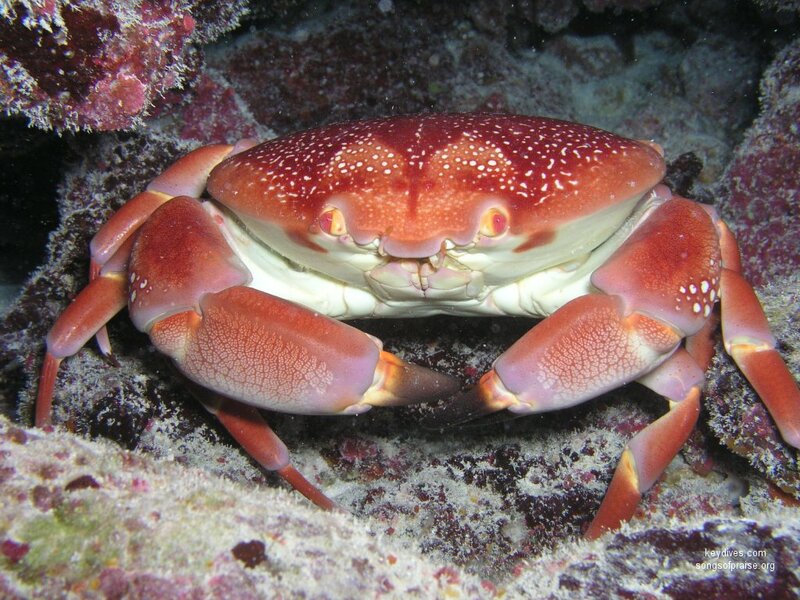 Incredibly diverse, very productive and at the same time extremely fragile, they are found in warm, clear shallow waters of tropical oceans worldwide. Often referred to as the "rainforests of the sea" because of their incredible diversity, coral reefs are home to over 4,000 species of fish, 700 species of coral and thousands upon thousands of other marine plants and animals. Corals are a part of the group of small aquatic animals called "Cnidarians." Cnidarians include the corals, sea anemones, hydroids, and jellyfish. Some are motile (free-swimming), like the jellyfish and hydroids, and others are sessile (attached), like the corals and sea anemones. Corals are a very diverse group of Cnidarians. 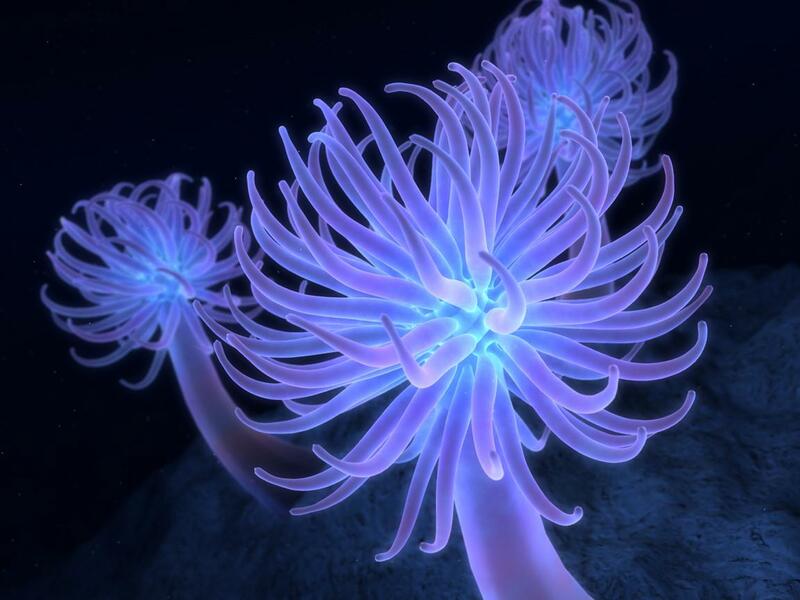 They are made up of many tiny organisms living together in a colony, and each individual organism is called a "polyp." Corals in the class Anthozoa are the chief reef builders. They do so by producing calcium carbonate from their tiny coral polyps which once secreted build up the reefs into communal structures slowly over time. This type of coral reef is almost entirely confined to warm, shallow waters, and it is their limestone skeletons which are critical to coral reef formation. While these corals are the chief architects of reef structure, they are not the only organisms at work. Coralline algae cement various corals together, and various mollusks contribute their hard skeletons as well. A coral colony may consist of thousands of polyps which are predominately carnivorous, feeding on smaller particles floating in the warm ocean waters and which have a symbiotic relationship with unicellular algae called zooxanthellae. Corals reproduce both sexually and asexually and an entire colony many meters across can start out as a single individual polyp. Important for many reasons, coral reefs are also home to numerous organisms which are important sources for drugs and medicines for mankind It is entirely possible that a cure for cancer still awaits discovery on the incredibly diverse coral reefs of the world. In addition, many island cultures depend on the coral reefs for food, and income from tourists attracted to the stunning beauty of the coral reefs is growing yearly. From a purely biological standpoint, coral reefs are extremely important to the ecosystem of the oceans at large. Islands of diversity ,they function also as nurseries, and feeding and breeding grounds to countless species. They also protect shorelines from erosion, and provide recreational opportunities and sources of income for millions of people who rely on them. Although they cover less than one percent of the ocean floor, they are home to a quarter of the known marine plant and animal species. Because of their narrow range of tolerance for environmental conditions, coral reefs are especially sensitive to damage from natural and human causes. Biologists have seen the future, and their message regarding coral reefs could not be clearer. -all over the world coral reefs are dead or dying because of human activity. While they are the most spectacular of underwater environments, coral reefs are also the most fragile. They have evolved over millions of years to cope with natural forces such as hurricanes, floods, ocean currents and diseases, but they are no match for man's destructive patterns and activities. Coastal development, over fishing, coral mining, sewage, fertilizer and chemical pollution, sedimentation, ocean warming and the use of cyanide and dynamite on the reefs as fishing practices are all taking a major toll, and they all can be traced by to man's activities. Corals are of two types: perforate and imperforate. Perforate corals have porous skeletons with connections between the polyps through the skeleton while imperforate corals have solid skeletons. Coral reefs consist of many diverse species of corals which in turn are made up of tiny organisms called polyps. A polyp is a small marine invertebrate (spineless) animal. Some coral polyps are as small as the head of a pin and others can be as large as a foot in diameter, but the majority of them are small. A polyps' body has radial symmetry, which means that if a line were drawn any way through the middle of the body, it would produce two identical halves. The body structure is simple – it is shaped like a tube. The tube is closed on one end where the polyp attaches to its growing surface. The other end of the tube is the mouth, which is used for both taking in food and excreting wastes. Tentacles surround the mouth for gathering food, and are usually found in multiples of six or eight. The body tissues of polyps are extremely simple, with only two cell layers – the outer epidermis, which has direct contact with the water, and the inner gastrodermis. The space between the two cell layers is filled with a jelly-like substance called "mesoglea. Zooxanthellae are small unicellular yellow-brown dinoflagellate algae which live symbiotically in the gastrodermis of reef building corals, and it is the nutrients supplied by the zooxanthellae from their photosynthetic processes that allow the corals to grow and reproduce quickly enough to produce reef structures. Reciprocally, coral provides the zooxanthellae with protection and access to sunlight. Limited to waters less than 100 meters deep because of their need for light, zooxanthellae are a key energy providers for coral, helping their hosts meet carbon and light energy needs. They also give the corals their distinctive colorations. Corals obtain their food in a number of different ways. The reef building corals rely mainly on the symbiotic zooxanthellae to provide them with nutrient by-products from photosynthesis, while other corals capture zooplankton for food using one of two methods -nematocyst adhesion or mucus entrapment. Most corals feed at night because that is when the zooplankton travel most and thus become available for capture by the corals. During the days t he corals keep their tentacle largely retracted to avoid predation, protect themselves from ultraviolet light and to avoid sharing their zooxanthellae. About.com: What Do Corals Eat? Corals exhibit both sexual and asexual reproduction modes, and the coral colony expands in size by budding, which may be intratentacular (new bud forms from the oral discs of the old polyp) or extratentacular (new polyp forms from the base of the old polyp). Fragmentation is a very common form of asexual reproduction in which broken pieces of corals that land on a suitable substrate may begin to grow and ultimately produce a new colony. Also, many coral species spawn, typically with a 24-hour period in which they all release their eggs and sperm and fertilization takes place in the surrounding waters. Corals are known to be susceptible to at least four diseases: white band disease (WBD), black band disease (BBD), bacterial infection, and shut down reaction. These are all stress related, and adverse environmental impacts from man may increase a coral's susceptibility to these diseases. Corals may also be infected by diseases indirectly and those that infect other reef inhabitants may also attack corals. Coral diseases generally occur in response to biological stresses, such as bacteria, fungi and viruses, and nonbiological stresses, such as increased sea surface temperatures, ultraviolet radiation and pollutants. One type of stress may exacerbate the other. Black Band Disease, shown in the photo to the left, is the only known coral disease that can be successfully treated. The frequency of coral diseases has increased significantly over the last 10 years, causing widespread mortality among reef-building corals. Many scientists believe the increase is related to deteriorating water quality associated with human-made pollutants and increased sea surface temperatures. Threats to coral reefs include both natural and manmade: These include climate, coral bleaching, coral fish trade, coral mining, destructive fishing practices, diseases and biological infestations, eutrophication, exotic species (Crown of Thorns starfish), habitat loss from development, military and nuclear testing, overharvesting and physical impacts from ship groundings and anchor, pipeline and cable damage, pollution, sedimentation and tourism. In short, it is a long list and growing. Already 10% of the world's coral reefs are lost and some scientists predict that without change 70% of all corals reefs on the planet will be destroyed in the next twenty to forty years. Coral reefs now throughout the world now face a serious problem -coral bleaching, caused primarily by rising sea surface temperatures, a direct result of global warming. Other environmental stresses including excess shade, increased levels of ultraviolet radiation, sedimentation, pollution and salinity changes can also lead to coral bleaching. When this happens, the relationship between the host coral and the symbiotic Zooxanthellae yellow-brown dinoflagellate algae collapses and the plant cells are ejected. The white calcium carbonate skeleton that is left now becomes visible and the coral slowly starves in to the absence of its nourishment providing zooxanthellae. Coral reefs are home to a staggering number of fish species, with the total number estimated to be over 4000. Biological diversity is great on coral reefs and this principle extends also to the fish that live permanently on reefs or are only occasional visitors. Of all the creatures living on coral reefs, fish are by far the most active and most noticeable, and display an incredible range of sizes, colors, shapes and behaviors. The high diversity of the fish communities in the coral reefs is produced directly by their complexity which provide a myriad of different ways for fishes to feed, live and reproduce. Coral reefs also provide habitats for a wide variety of other organisms that rely on corals for shelter and food. Sponges, starfish, gastropods, sea worms, crustaceans, mollusks, jellyfish, sea anemones and turtles are among the most commonly seen. There are essentially four types of coral reefs: Fringing Reefs, Barrier Reefs, Atolls and Bank, or Platform Reefs. Fringing reefs are the most common type of reef and develop from the simple upward growth of a calcium carbonate platform from a shelf along the coastline. Growth is most rapid and prolific in the warm, shallow waters and the corals grow quickly to the surface and produce a shallow platform which is usually around the level of the lowest tide. Offshore, growth still takes place but it is slower. Typically here there is a sharply defined edge, the reef crest, beyond which there is a steeply shelving reef front dropping to the ocean floor. Typically these are much older structures rising up from a deeper base farther out from the shoreline, and more than likely have a lagoon associated with them. Some have their origins as fringing reefs but take on a new stage of growth when the shoreline they are associated with subsides or is flooded by rising sea levels. Under these conditions, the barrier reefs continue to grow on their own upwards but deeper water fills in between the reef and the shoreline and a lagoon is formed. Atolls are really unique structures, typically circular and enclosing a large lagoon. They are usually found in oceanic locations, far away from the continental shelf. 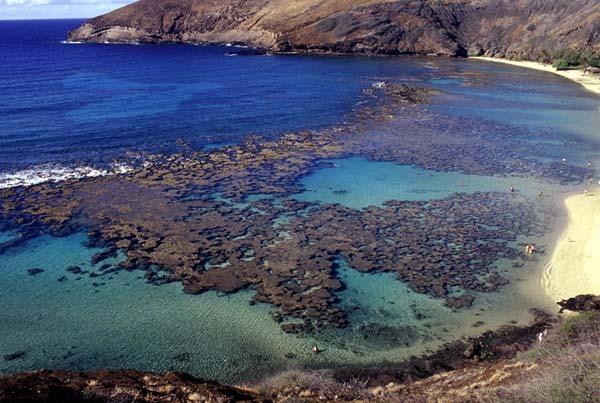 They initially form as fringing reefs around isolated, usually volcanic islands. 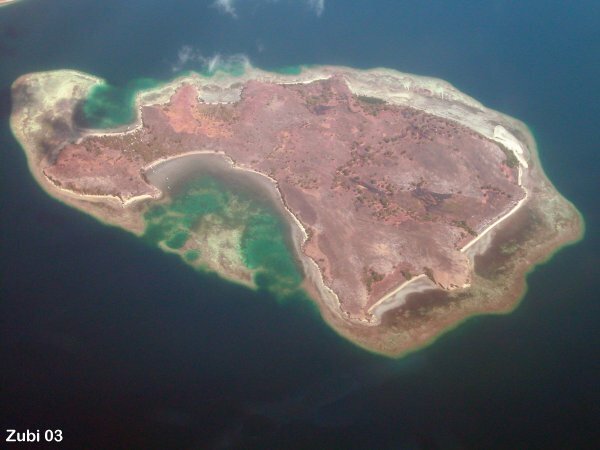 If these island subside, the reefs continue to grow, first forming a barrier around the sinking island, but finally forming a single ring of coral once the islands disappears completely beneath the sea. The depth of these coral reefs can be extensive. Some found in the Marshall Island are up to 1.4 kilometers in depth, dating back over 50 million years! Bank or Platform Reefs: Bank or platform reefs are simple physical structures formed a number of ways. As reefs, they have no physical link to a coastline but do not have the clear shape of a barrier reef or atoll. Larger or submerged reef structures of this type are referred to also a shoals.